For the last few days I have been working in my backyard. 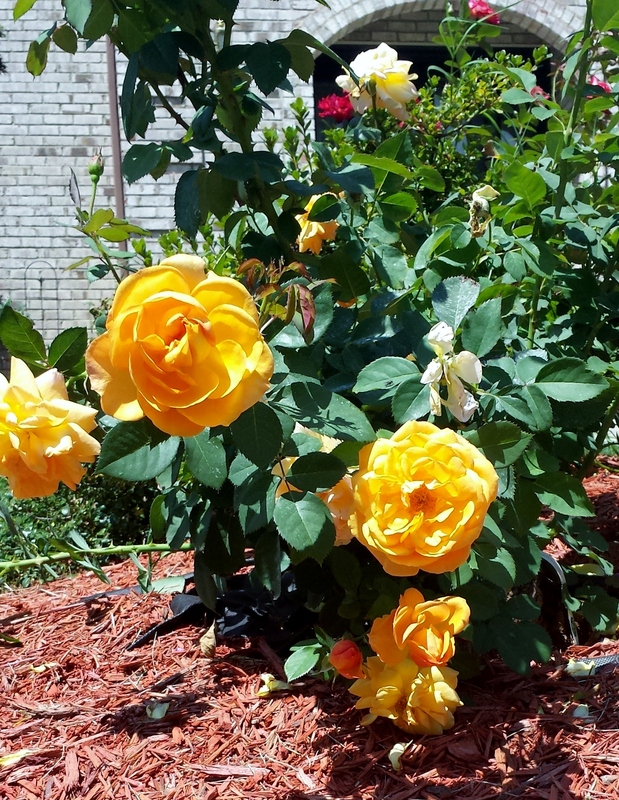 This year I decided to plant roses in the back portion of my yard which meant I had to removed grass and weeds from the place where I wanted to roses to go. I hate weeds and they are always around! I had to use a small pitchfork and hoe in order to loosen the weeds so I could pull them out by hand because I needed to remove the roots of the weeds. It has taken me two hours a day for three days, to area clear the grass and weeds and, I’m not done yet. A big problem with converting an area this has been allowed to grow weeds unchecked is the roots of the weeds have a head start over my roses. The roots of the weeds are mature and well established while the roots of my roses are new and immature. If I allow the roots of the weeds to remain in place they will overtake my roses and choke them out. On and on the weeds our enemies have planted in us lie to us. YES! They lie to us in an effort to choke out God’s purpose for our lives. In John 10:10 Jesus says, ‘“The thief comes ONLY to steal and kill and destroy; I have come that they may have life and have it to the full.”’ The enemies job was to kill our lives; destroy our dreams, chock out our hope and dash our desires for greater against the rocks of their lies. Our job is to plant and cultivate God’s word in our hearts and minds, which will uproot and destroy the weeds of the enemy. It is time to take back our land that has been overrun by weeds. It’s time to uproot the lies we have been told down through the years and replace them with the truth of God. Then and only then, will we blossom, even in the wilderness.